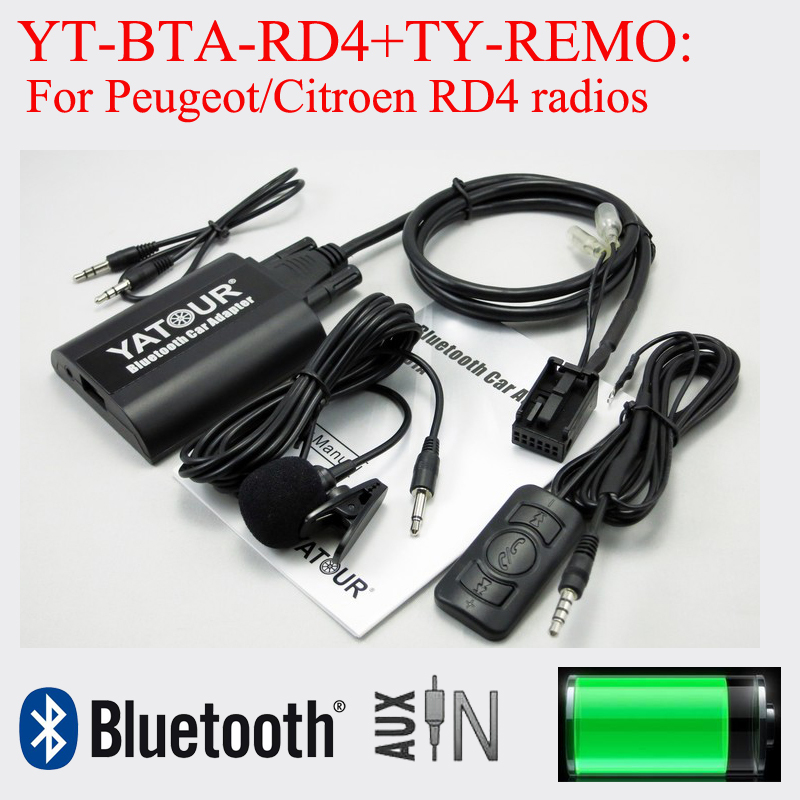 - The bluetooth module is specially made for Peugeot. - You can just Insert this item to the back radio then Connect the red wire to 12V+, the black wire to 12V-. - It is bluetooth 3.0 version, not need password when connecting. - Choose AUX from your radio and you can play music from your phone in your car. Match your phone or pad to bluetooth module.and Choose Aux from your radio, then you can use your phone to play music through car speakers. You can hear music from your phone/pad/mp3(They should have blueooth function). - And pair your phone with our bluetooth module,and choose Aux from your radio. - You can enjoy music from your phone through car speakers. Note:-Only audio playback, can not be steering wheel control, can not be used answer the phone. -Before you order,pls confirm if your radio has 12pin socket for our plug or not. -If there is no such socket,it will not work!!! When you place an order, please choose a shipping method and pay for the order, once you payment is completed we will send you the goods as fast as we can. Tips: We are not responsible for any custom duty or import tax. We want to make sure you are 100% satisfied with your purchase! However, if a product needs to be returned to us it must be kept in their original status, and the buyer should tell us within 7 days after you received item. Tips: The refund amount don\'t include shipping charge. Buyer is responsible for return shipping fee. When we received item, refund is issued. Your satisfaction is our pursuance for ever, we sincerely invite you to leave positive feedback for us if you are satisfied with our product and service. Thanks. Tips: We will leave POSITIVE FEEDBACK for you after receiving the payment. · Q: How much does it cost to ship to my country? · Q: I am a reseller, I would like to buy many pieces of your item, what\'s the wholesale price?